If you’re ever running late and in need of some quick and pretty little diy gift boxes to place special little gifts inside, don’t stress, because I’ve got your back! These adorable little DIY miniature Pillow Boxes make perfect jewelry, money or even party favor gift boxes, that could be created in just minutes! 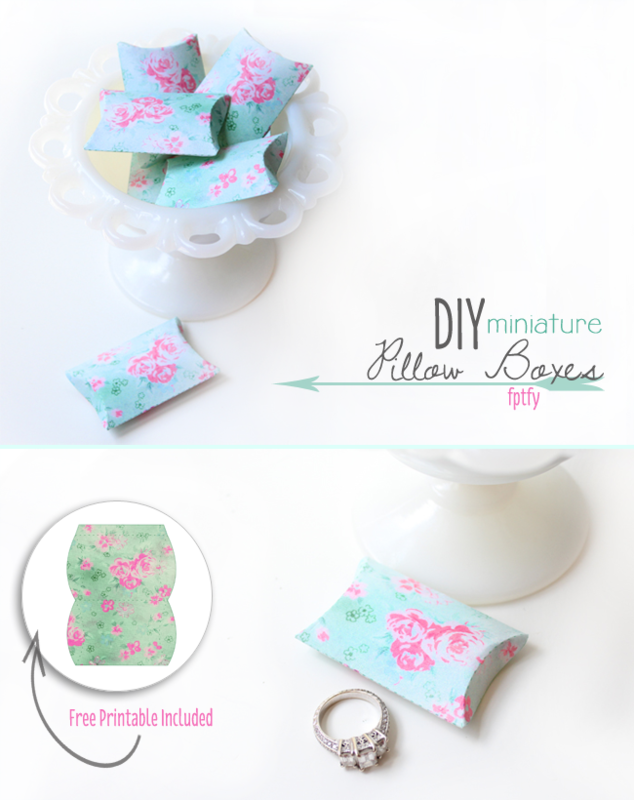 To create them, all you need to do is download and print out my Free DIY Miniature Pillow Box Printables.. and for step by step instructions, I found another wonderful YouTube Video, you could follow here! Oh I LOOOOOOOOOOOOOOOOOOOOOOOOOOOOOOOVE THIS!!!!! I do I do I do!!!!! I think I am going to have to make 100’s…maybe 1000’s!!!! : ) No kidding…they are going to be picture perfect for my earrings and rings…not even mentioning gifts…special little treats…favors and and and!!!! Thank you thank you my friend for the inspiration…the pattern and the gorgeous design! WOOOOOHOOOOOOOOOOOOOOOOOOO…you rock but you know that : ) Sending tons of hugs and love to all! What a great idea! I will use this for a craft idea when babysitting my sis’s grandkids. They will love this! Thank you! These are so cute, thank you very much. I love these!!! I’m having an anniversary party for my parents this weekend, and these are perfect!!! Thank you so much!! These little boxes are so sweet! I will have to make some to share little treat and trinket with my granddaughters and nieces. They would make sweet little treat and trinket boxes!!! SO happy you like them and can use them! !